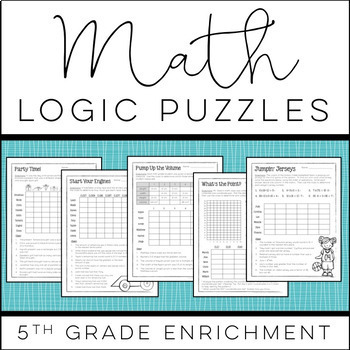 Math Logic Puzzles for 5th grade includes 15 higher order thinking puzzles designed to challenge and engage your high flyers and fast finishers. Your students will utilize critical thinking and problem solving skills to build a solid understanding of essential 5th grade math concepts. Every activity is directly aligned with the Common Core State Standards for Math. 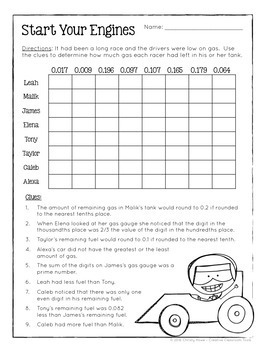 • Math Logic Puzzles for 3rd GRADE. 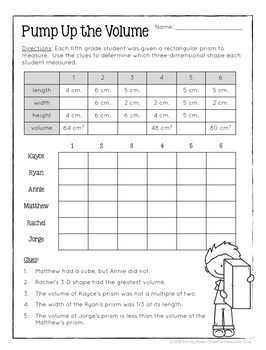 • Math Logic Puzzles for 4th GRADE. Please contact me if you have questions or feedback; I’d love to hear from you! © Christy Howe 2016. Materials are intended for personal use in one classroom only. For use in multiple classrooms, please purchase additional licenses.